John Brown University’s construction management students placed third at the 7th Annual Disaster Shelter Design Competition, sponsored by Samaritan’s Purse International, April 19-21, and hosted on JBU’s Siloam Springs campus. Nine teams from eight universities designed and constructed a rapidly-deployable emergency and disaster shelter, which a panel of judges with expertise in emergency management, engineering, logistics and manufacturing, evaluated for possible implementation in relief efforts worldwide. This year’s competition scenario was based on the 7.8 magnitude earthquake in 2015 that effected more than a million people in Nepal. The shelters were required to address the local climate in Nepal, as well as their mountainous terrain, by retaining heat and transporting easily as well as by being water resistant, cost effective and culturally appropriate. The shelters were also required to be able to house a family of four. Teams were scored based on their shelter’s performance in individual events and on their presentations detailing their shelter’s schematics, design and materials. One of the two teams from LeTourneau University (Longview, Texas) finished in first place, and Calvin College (Grand Rapids, Michigan) took second place. 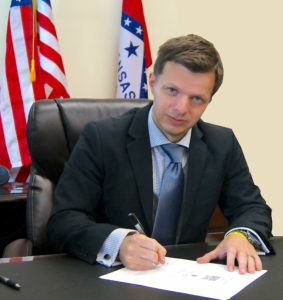 Other universities who participated this year include Dordt College (Sioux Center, Iowa), Pittsburg State University (Pittsburg, Kansas), Gyeongsang National University (Jinju, South Korea), Murray State University (Murray, Kentucky) and University of Arkansas at Little Rock (Little Rock, Arkansas). Samaritan’s Purse is an international Christian relief organization that has helped more than 40,000 families in 35 U.S. states following hurricanes, tornadoes, floods, fires and ice storms. Recently, disaster response teams helped more than 4,600 families in Texas and Florida recover from Hurricane Harvey and Hurricane Irma. John Brown University construction management students received second place in the commercial building category at the Associated Schools of Construction (ASC) Region 5 annual competition in Dallas, sponsored by TEXO. University teams in this category were asked to develop a construction project proposal primarily for a public or private building and make a formal team presentation to a panel of construction professionals. (from left to right) JBU freshman Kyle Beardsley received a scholarship from the TEXO foundation. 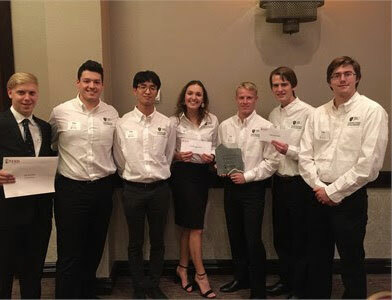 JBU construction management students Bryan Harmon, Peter Choi, Emiley Hegel, Ethan Bolthouse, Brendan Culp and Philip Braun received second place in the commercial building category at the Associated Schools of Construction Region 5 annual competition. For this year’s project, teams had to develop costs, work schedules, subcontractor bids, specifications and plans to resolve potential quality or safety issues for Mirmar Development Center in Irving, Texas, that was built four years ago. Once teams received the project specifications, they had 16 hours to complete their project and prepare a presentation before traveling to Dallas to present in front of judges. Judges evaluated teams on the overall feasibility of their plans, safety proposals and the quality of their presentations. JBU senior Emiley Hegel won Best Presenter in the commercial category and freshman Kyle Beardsley received a scholarship from the TEXO foundation. Texas A&M University (College Station, Texas) placed first and University of Oklahoma (Norman, Oklahoma) took third. Other universities represented were Texas A&M Commerce, Texas State University, University of Arkansas at Little Rock and Texas Tech University. In 2016, JBU construction management program had a team place first in both the commercial building and heavy civil divisions. JBU Director of Athletics Robyn Daugherty has been named the 2017-18 NAIA Under Armour Athletics Director of the Year by the National Association of Collegiate Directors of Athletics. John Brown University is pleased to announce that JBU Director of Athletics Robyn Daugherty has been named the 2017-18 NAIA Under Armour Athletics Director of the Year (ADOY) by the National Association of Collegiate Directors of Athletics (NACDA). 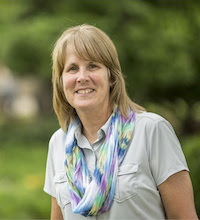 Daugherty will accept her award during the James J. Corbett Awards Luncheon at NACDA’s 53rd Annual Convention at the Gaylord National Resort and Convention Center in Washington, D.C. on Friday, June 29. Daugherty currently serves on the NAIA’s Hall of Fame Committee and the Executive Committee for the Sooner Athletic Conference. She has completed terms on the National Administrative Council, the National Association of Collegiate Directors of Athletics, Executive Committee as a College Division representative, the Competitive Experience Committee and NAIA’s Direct Qualification Task Force. In 2011, she was named the Sooner Athletic Conference Athletic Director of the Year. The John Brown University Board of Trustees announced this week a 2.75 percent increase, the lowest rate increase in more than three decades, for undergraduate tuition, fees, room and board. The rate increase for 2018-2019 academic year amounts to $968, the lowest dollar change in 14 years. JBU also announced new flexible dining options and extended cafeteria hours to better meet the needs of the diverse student body. The new meal plans relieve some of the restrictions on when and how students can use the plans, which JBU believes will allow students to get more value from the plans. In addition to the standard meal plans, enhancements and additional flex options are available from $20-$300. To help with the increase, the university will make an additional $450,000 available for need and merit-based institutional scholarships, approximately a three percent increase over last year’s amount. For the 2018-19 academic year, JBU expects to award just under $16 million in scholarships with 90 percent of JBU students receiving some form of institutional aid. Tuition for online undergraduate students remains flat at $420 per credit hour. Tuition for graduate students continues at $560 per credit hour for graduate business and graduate counseling, $460 per credit hour for graduate education and $600 per credit hour for graduate cybersecurity majors. John Brown University is a leading private Christian university, training students to honor God and serve others since 1919. Arkansas’ top ranked regional university (U.S. News Best Colleges, 2018), JBU enrolls more than 2,500 students from 41 states and 50 countries in its traditional undergraduate, graduate, online and concurrent education programs. JBU offers more than 40 majors, with top programs including business administration, graphic design, engineering, construction management, counseling, teacher education and nursing. John Brown University’s Graduate School, in affiliation with the JBU Department of Business, will launch online master of science degree programs in outdoor program management and design thinking & innovation, beginning this fall. The M.S. in Outdoor Program Management equips students with the education, leadership skills and training in therapeutic treatment to advance their career in the outdoor industry for roles such as executive director or site manager. The M.S. in Design Thinking & Innovation, helps students learn techniques, gain experience and develop real projects using design thinking methodologies to implement new and creative solutions to positively impact the world around them. Students acquire the tools and knowledge to develop innovative products, services, processes, communications and business strategies, while bridging the gap between the intent of the organization and the interactive experience of the customer. health in organizations, financial acumen, Christian foundations of business, and designing and executing strategies. Students will finish their degree by taking 12 additional courses in their specialization. These new programs will also expand JBU’s Graduate School offerings, which include master’s degrees in business, counseling, teacher education, higher education and cybersecurity. The Design Thinking & Innovation curriculum will also be offered as concentration area for JBU’s MBA program. To learn more about JBU’s graduate programs, visit jbu.edu/grad. Dr. Jessica Hooten Wilson, JBU associate professor of creative writing, received the 2017 Emerging Public Intellectual Award from The Center of Christian Scholarship. Dr. Jessica Hooten Wilson, JBU associate professor of creative writing, received the 2017 Emerging Public Intellectual Award from The Center of Christian Scholarship. The $5,000 award, sponsored and adjudicated by leading intellectuals in Cardus, the Action Institute, the Center for Public Justice, the Henry Institute and the Council for Christian Colleges and Universities, recognizes emerging scholars in Christian academy who are making a public impact. One of the major contributions Wilson is making is through her work to complete Flannery O’Conner’s unfinished novel, “Why Do the Heathen Rage” for publication. 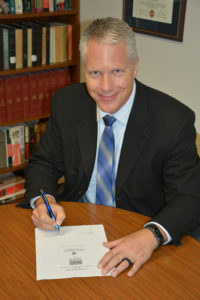 Approved for the honour by O’Connor’s estate in 2015, Wilson received a grant from Biola University’s Center for Christian Thought, funded by the Templeton Religion Trust, to complete the work. The project fulfills one of Wilson’s lifelong dreams, allowing her to give back to someone she considers a writing mentor. As the editor, one of Wilson’s challenges is moving out of the way and keeping O’Conner’s voice strong throughout. “I’ve been a devoted O’Connor student since I was fifteen years old. To be able to give back to the woman who gave me so much is a blessing in itself.” Wilson said. The novel asks the universal question of what exactly it means to be a human and to return to God through the interactions of a civil rights activist without faith in God, and a recent convert who unable to see his way out of injustice. 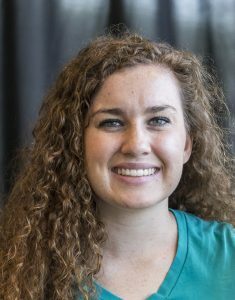 John Brown University senior Meg Mauldin received the individual 2017 National Philanthropy Day Award in Youth in Philanthropy from the Association of Fundraising Professionals, Northwest Arkansas Chapter. 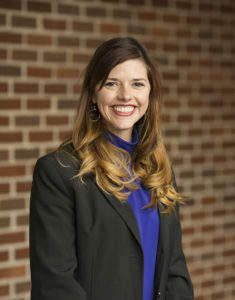 Mauldin, the first JBU student to be nominated and also to win, is being honored for her leadership of JBU’s Student Philanthropy Council (SPC), established fall 2016. In its inaugural year, JBU’s SPC increased student participation in need-based giving projects by 100 percent, connected over 700 community members in philanthropic causes, educated JBU students on the importance of philanthropy, and in support of JBU fundraising campaigns helped to raise funds for the JBU Scholarship Fund. In 2016, JBU’s University Advancement team established the SPC with the aim to inform and engage JBU students in lifelong philanthropy. Nominated by faculty to be a part of the SPC, Mauldin underwent a rigorous interview process to be named president of the council. philanthropy across campus, which first required educating and engaging JBU students in what philanthropy means and in the importance of giving. Mauldin’s major projects as president included establishing the Thank A Giver (TAG) Day for students to thank donors for their contributions to JBU; expanding JBU’s Founder’s Day enabling departments to come together to honor JBU founder, John E. Brown Sr., and his philanthropic sacrifices; and rebranding the Senior Project to encourage the entire campus to participate in need-based giving projects. Mauldin will be honored in Fayetteville, Arkansas at the annual National Philanthropy Day Luncheon on Nov. 15 at 11:30 a.m. in the Fayetteville Town Center. The Association of Fundraising Professionals (AFP) is the professional association of individuals and organizations that generate philanthropic support for a wide variety of charitable institutions. Founded in 1960, AFP advances philanthropy by enabling people and organizations to practice ethical and effective fundraising through its more than 31,000 members in 235 chapters throughout the world. John Brown University will launch an online master’s degree program in cybersecurity in spring 2018 in affiliation with the university’s Graduate School and Department of Engineering. The program was designed with input from network security professionals in major corporations located in Northwest Arkansas. The professionals reported a shortage of qualified cybersecurity experts in the region and the need to equip IT personnel with the advanced skills required to protect critical systems and networks. As a graduate degree, the M.S. in Cybersecurity will admit students who have foundational knowledge of computer systems and networks, then deepen their understanding of digital threats, laws, compliance and methods to secure the assets that guard private information. The program was recently approved by the university’s regional accrediting agency, the Higher Learning Commission. The new program will expand JBU’s Graduate School offerings, which include master’s degrees in business, counseling, teacher education, higher education and design. Additional information about graduate programs at John Brown University may be found at www.jbu.edu/grad. 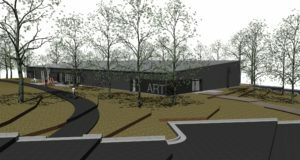 The John Brown University Board of Trustees approved construction of the Peer-Andrus Studio and Project Barn to provide studio and project space for art and engineering students. The new building is named after Charles Peer, professor of visual arts, and Dave Andrus, professor of visual arts and department head, who together founded JBU’s Visual Arts program in 1990. In the last 27 years, Visual Arts has grown to be the largest JBU program with 8 full-time faculty and 219 students. JBU received a $2 million grant from the Windgate Foundation to fund the art studio portion of the new facility. The board approved a $3.25 million total project cost to incorporate engineering project space and a maintenance endowment. The building is the newest initiative of JBU’s $125 million Campaign for the Next Century. Construction of the 16,800 sq. ft. facility is expected to begin in winter 2017 and be completed by summer 2018. The pre-engineered metal building will be divided into two sections with separate workspaces for engineering and art students. The facility will include a space for commercial photography and video shoots, a wood shop and three large project areas for art students; one large project area with 17 flexible workstations for engineering students; and a shared common entrance with offices and restrooms. The studio will be located on JBU’s main campus on the north side of Broadhurst Road across from JBU’s Health Education Building. The project is part of JBU’s $125 million Campaign for the Next Century, which is scheduled for completion in 2019 during the university’s centennial. The campaign has five priorities: endowment and annual scholarships ($35 million), estate gifts for scholarships and program endowment ($25 million), endowment for academic excellence ($10 million), new and renovated facilities ($30 million), and program support ($25 million). With this gift, JBU has received over $115 million in gifts and pledges toward its $125 million goal. For more information on the project, visit jbu.edu/nextcentury. Representatives from John Brown University and Southern Arkansas University Tech (SAU Tech) signed an articulation agreement Thursday, Sept. 28 to facilitate a seamless transfer of courses from SAU Tech to JBU. The partnership creates a pathway for students to earn an associate’s degree from SAU Tech and then complete their bachelor’s degree at JBU. Established out of a mutual desire to serve students, the agreement allows students to enter into JBU’s traditional undergraduate programs on the main campus in Siloam Springs, or JBU’s Online Undergraduate Programs. The agreement outlines which SAU Tech courses JBU accepts so that transfer students are not required to retake courses already achieved. SAU Tech offers programs for students to continue their specialized study at JBU in business administration, teacher education, organizational leadership and psychology. “This integral collaboration will build new pathways for students to achieve their academic goals and will create stronger community relations in south central Arkansas and the surrounding areas,” Dr. Stacey Duke, JBU’s dean of online undergraduate programs and strategic initiatives, said. Students must complete 45 credit hours in their designated program courses at SAU Tech and apply to JBU with a GPA of 2.5 or higher to be eligible for admission at JBU. Southern Arkansas University Tech is a two-year public college that started in 1968 and is part of the Southern Arkansas University System. SAU Tech is located inside the Highland Industrial Park in East Camden and employs over 160 staff and faculty and provides education annually to around 1,800 students.